*SPECIAL PRICE! * Softcover, 200 pages - Author: Chuck C.
In this hard to find classic, these pages represent the backbone of applied principles from Alcoholics Anonymous, as told by Chuck C, an AA legend, in his inimitable, charismatic style. 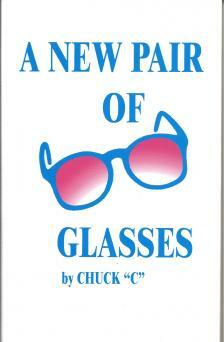 This version of A New Pair of Glasses is the 10th printing!